MYS: July News! PILATES, Kids yoga, Teachers Reach Out, OH MY! Check out what is happening this month! It was an amazing turnout for our 5th annual Sun Salutations event again this year! 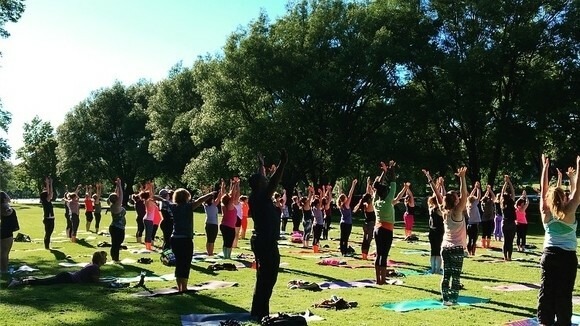 Nearly 100 yogis turned out and what a beautiful evening it was! We sure got lucky! Thanks to everyone who came out and a special thanks to our local partners Picasso Painters who provided Henna tattoos, Neob Lavender who donated some take away gifts and a basket that we raffled off, and The Farm Juice Co. who provided us with fresh juice to re-hydrate us after all of our hard work! Also thank you to our team of Teachers and Energy Exchangers for all of your work in helping make this event such a huge success, really, thank you so much. We have some exciting things ahead for July! Wishing everyone a safe and happy Canada Day! Read on! K - Gr12 teachers. It's the least we can do as a THANK YOU for shaping the future of our world by educating and caring for our kids. YOU deserve a little extra love. and then click below to get your teachers pass! You will be asked for some kind of proof or ID when you come for the first time, just to validate your pass. Click Here to get your teachers REACH OUT pass! Long weekend & NEW summer schedule! KILT YOGA session for a wild crowd to kick off the day! Looking for something fun to do on Canada DAY pre Market Square festivities??? Join us for kilt yoga in Embro at 9am! It will be a one of a kind experience! We have a reduced class schedule running this weekend but a chance to sweat every day! We are rolling out our Summer Schedule starting on Tuesday July 3rd. There are a few changes so please be sure to check the schedule before coming to class. We still have lots of chances to get on your mat each day as well as a great variety of classes and of course AMAZING instructors to guide you (gosh we love them). Make your practice a part of your summer ritual, your future self will thank you! 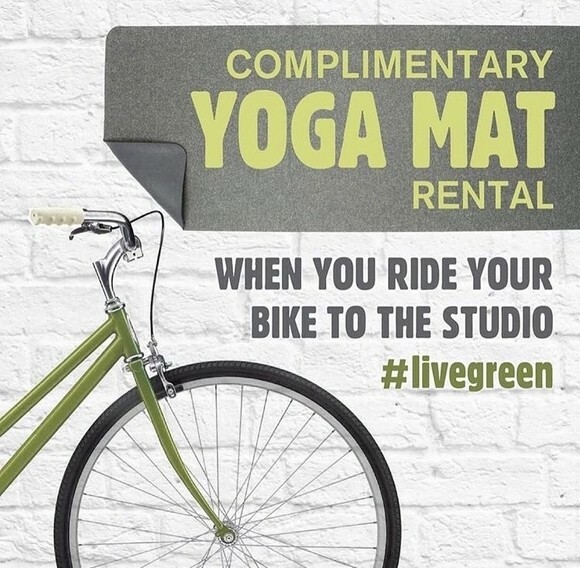 Free Mat & Towel rentals if you ride your bike to the studio! FREE mat and towel rentals to anyone who rides their bike to class! Just show us your helmet at the desk (yup, we think helmets are cool). Spin right on in to yoga, no fuss, yoga made easy! 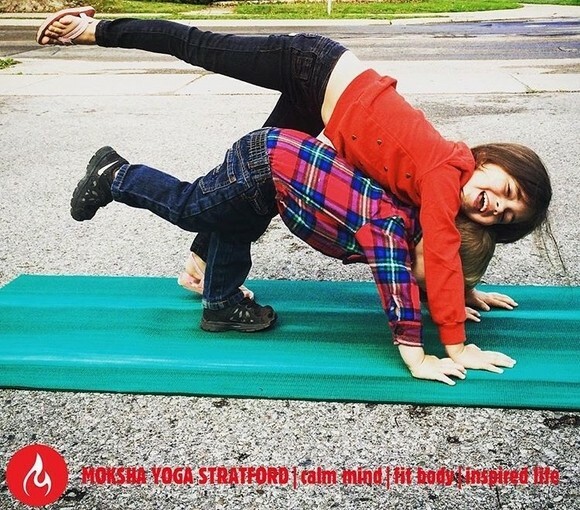 Adult Moksha + Kids yoga! Oh man, we've been cooking this up for a while now! As a parent it can be tough when school lets out. With the kids home that sometimes means that your own routine and self care goes on the back burner. Well, now you don't have to skip your practice! Starting on Wednesday July 11th we will be running a KIDS YOGA class for school aged kids (5 - 11) in conjunction with our 12pm MOKSHA class! This means that there will be 10 spots available for parents who want to come practice to bring their kid(s) who will also do some yoga in our non heated studio! Cost is $10 for one child and $5 for each additional sibling. Note: you do not HAVE to have a child with you to come to the Wednesday noon class, but this just gives the option! Also, parent must be staying for practice (no drop offs). Only 10 spots available for kids so you must email ahead of time to reserve a spot for your kids. 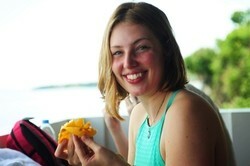 "Kelsea is an energetic new yoga instructor. She has practiced yoga since she was 16 years old and became certified in the 200 hour yoga teacher training in Rishikesh, India this past June. 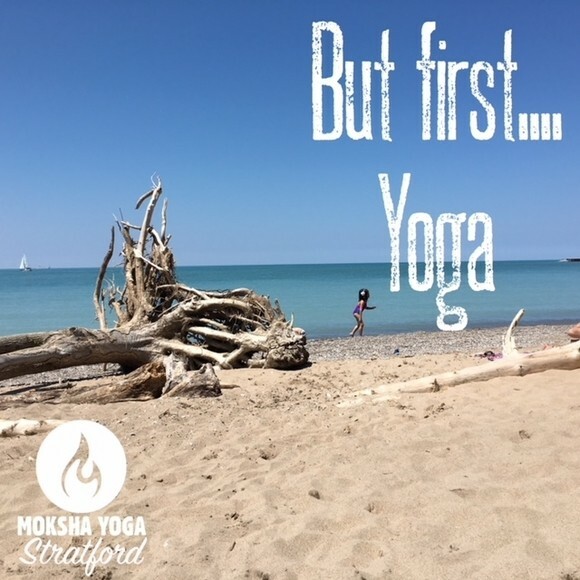 Kelsea has just moved to Stratford for the summer after a year abroad learning yoga, teaching English in China, and travelling through Europe. Having done work in schools around Avon-Maitland with the Foundation for Education, Kelsea has experience working with kids and bringing mindfulness and yoga to life through movement and visualization." We are adding an exciting new class onto our summer schedule! Say hello to PILATES! 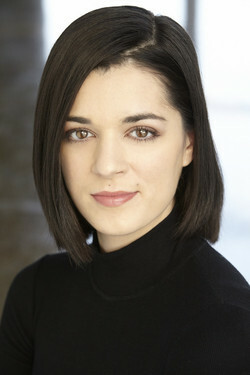 The amazing Lily McEvenue is living in Stratford and working as a company member as the Stratford Festival. However, she is also a very experienced and talented Pilates instructor and we are feeling pretty honored that she is going to be teaching pilates classes at MYS! "Lily McEvenue is a performing artist and a certified Pilates instructor. She is currently in her second season with the Stratford Festival, performing in The Music Man. Lily has been practicing Pilates for over ten years, and has been teaching professionally since 2014. Along with her performing career, Lily teaches Pilates in Toronto and now at her home studio in Stratford. Lily continues to pursue training in therapeutic and post-rehabilitative Pilates methods and is excited to share her knowledge with the Moksha community!" weekly yoga by the river! We had an incredible start to our summer Yoga by the River series with our 108 Sun Salutations and we are just getting going! Today we had our first regular weekly class at the river with another great day and a wonderful turnout! 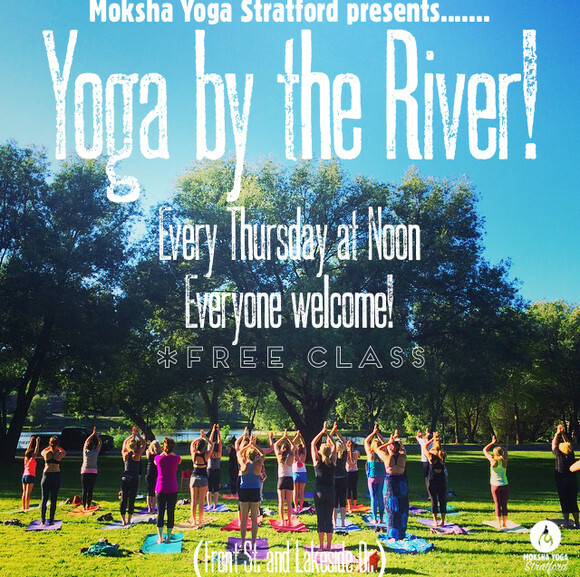 Please join us every Thursday at noon for a free class at the river. This class is for all levels. We will also have 2 Monday night classes, the first of which is happening Monday July 16th at 6:30pm.